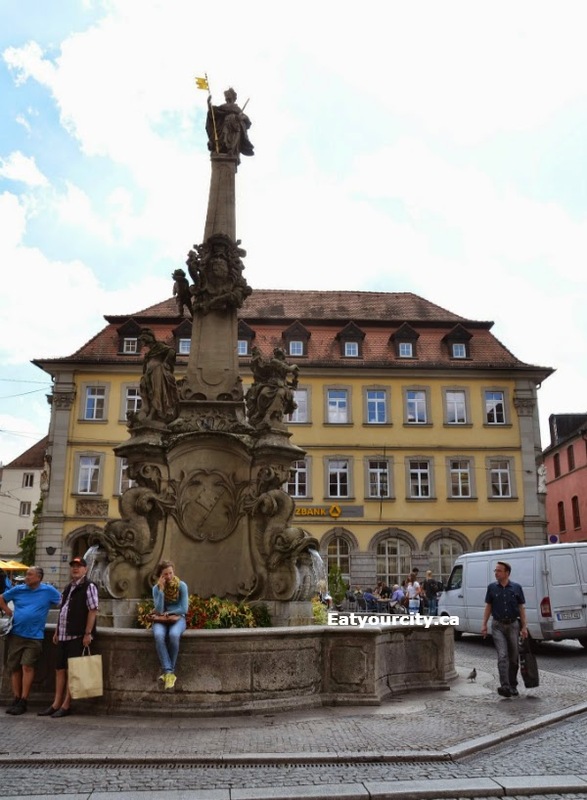 Posted by One our road trip through Eastern Germany, we only budgeted one day in Wurzburg, so we were going to make the most of it! 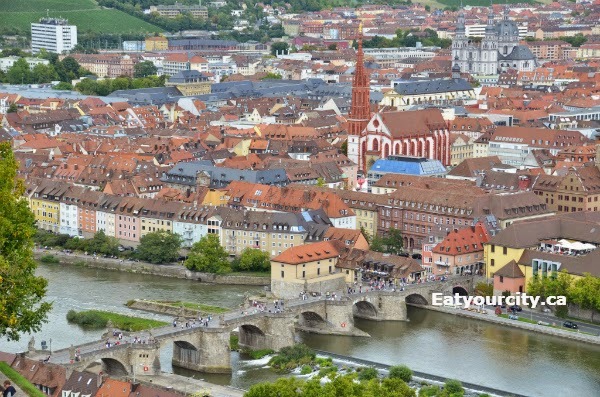 We mixed in a bit of sightseeing, eating and sight seeing some of the "must see" sites in and around Wurzburg. 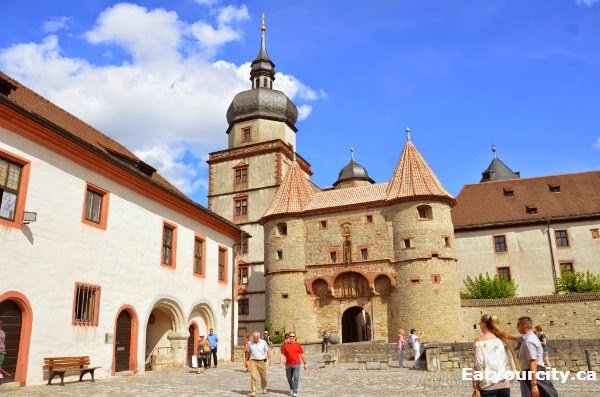 Palaces, fortresses, bratwursts, churches and more. and we did it all at a good pace in one day. 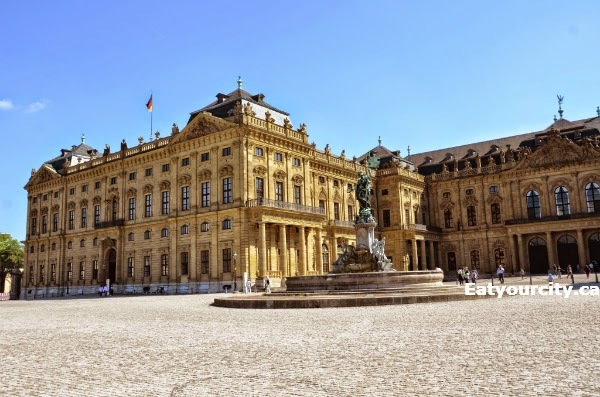 We arrived in Wurzburg bright and early, so we took a tour of the Residenz Palace first - its a UNESCO World Cultural Heritage Site.. it takes about an hour for the tour (more since we explored the gardens at the back too), and its well worth the morning jaunt. 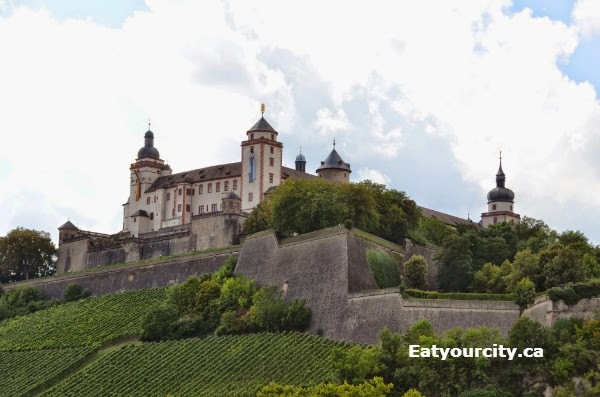 Its known as the “Castle above all Castles” and is one of Europe’s most renowned baroque castles. 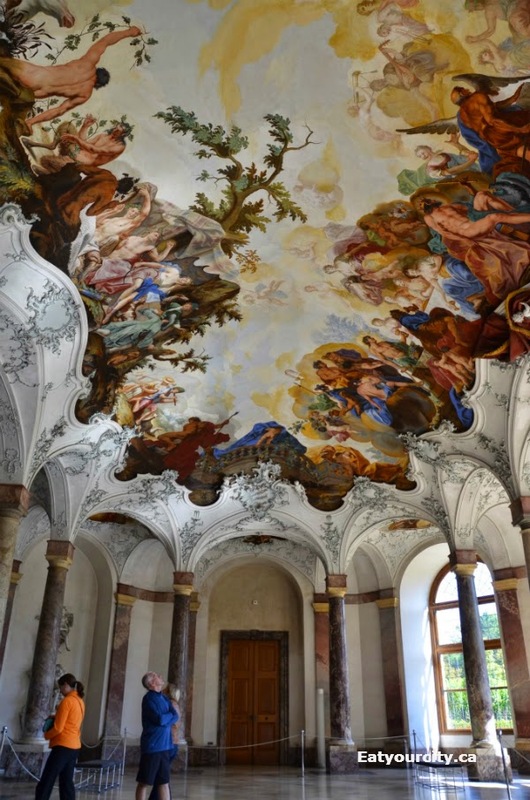 Built by Balthasar Neumann in 1720-1744, it includes an impressive staircase (no pics allowed) with ridiculously awesome ceiling frescos by talented Venetian artist Tiepolo. The rest of the tour consisted of the reconstructed Imperial chambers furnished in ornate rococo styles, and self guided tour of the family chapel and gardens in the back. If you don't think you have time to do the full tour or on budget, the Hofgarten gardens in the back are free of charge and doesn't take too long to stroll through. It has neat Baroque-era ramparts and a bunch of rococo sculptures. We headed into town (stay parked at the Residenz... we ended up looping around for at least 30min looking for parking, only to end up paying for parking about 10min walk away from the Residenz!) and enjoyed walking around, with many churches and old historical buildings everywhere. 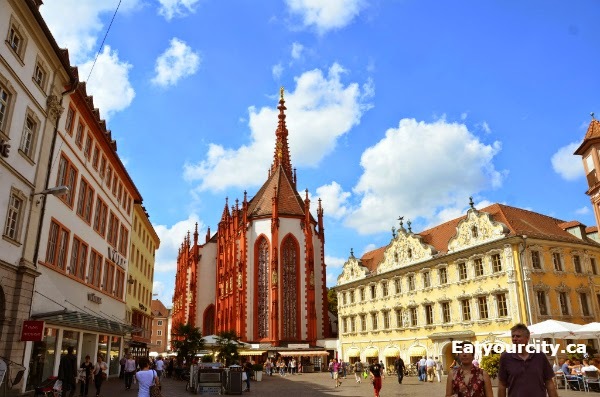 The Marienkapelle is a particularly striking late Gothic period hall church constructed in 1377 and was finished in 1480. 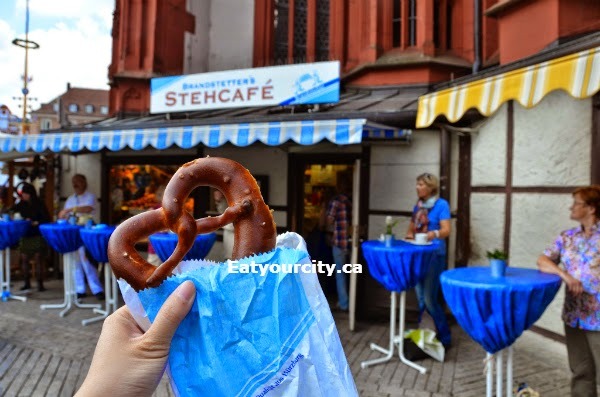 And noshed on a decent pretzel to hold us until we found more food as we headed towards the farmer's market. 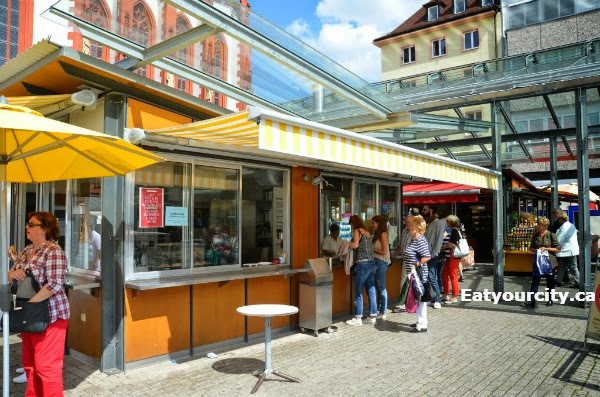 It didn't take us very long - at one end of the farmer's market is Wurzburg Bratwurststand am Markt K Knüpfing. There was a nice line up queing up for food and the delicious scent of cooking sausages, so we promptly lined up too! 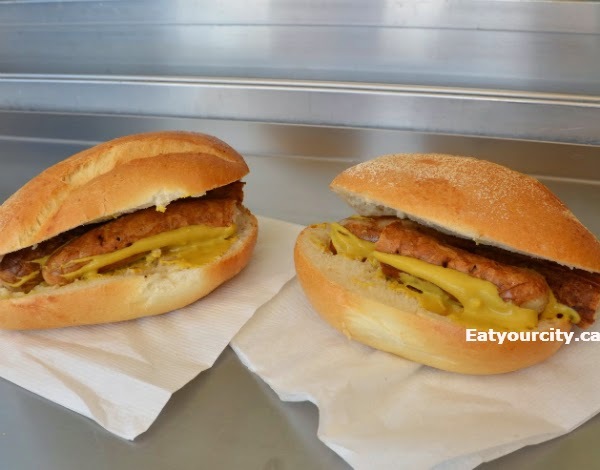 They served Wuzrburger Bratwursts and some yummy looking pickled herring sandwiches, but with the smell of cooking sausages in the air, we both opted to try the Wuzrburger Bratwursts. 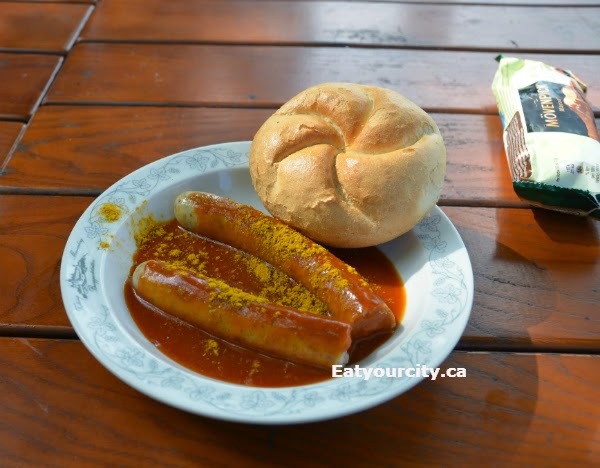 Its a thin and slightly spicy sausage that's grilled, cut in half and put into a bun with a good slathering of mustard... washed it down with an Aprelsaftschorle (think half apple juice, half mineral water) Mmmm!!! 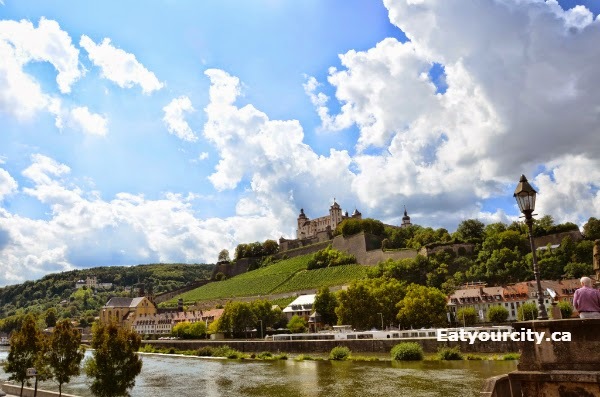 You can hike through vineyards and get a great view of the city up to Festung Marienberg (Fortress Marienberg), but in the interest of time, we hiked back to the car and drove up there. 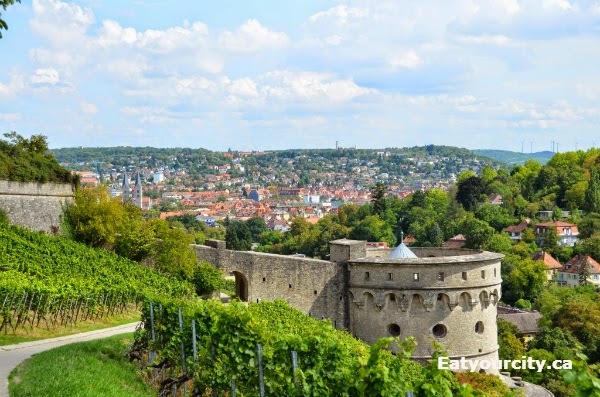 The fortress started out as a Celtic palisade castle, then became the first Würzburg church in 704, fortifications were added in the 13th century and expanded and renovated several times during the renaissance and baroque periods. As we drove up the huge hill, we could see glimpses of the city and vineyards. 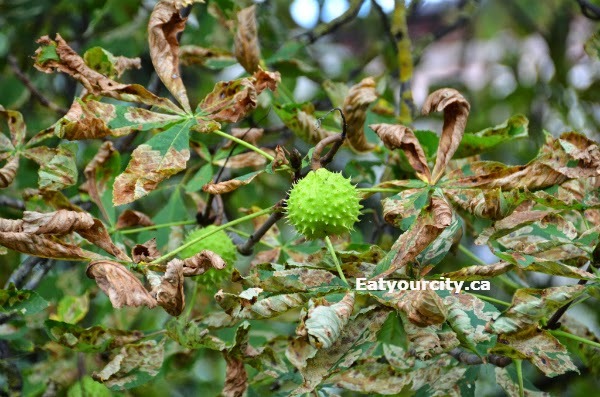 And we saw lots of chestnut trees along the way, with fresh green spiky young chestnuts adorning the trees! I can't remember if there was no English tour or if we just missed it, but we ended up doing a self guided tour, with Google translate on our phones helping us figure out what each building etc was. 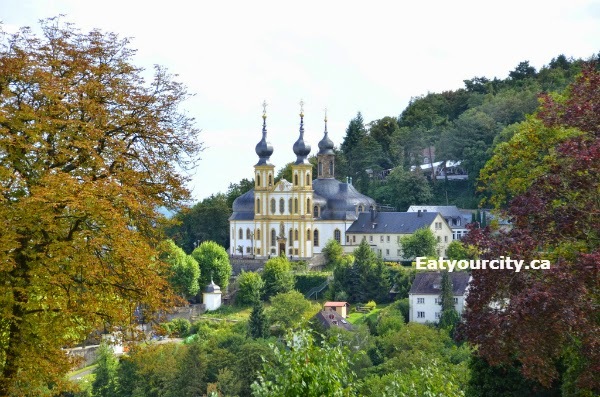 as well as a great view of the Pilgrimage Church or Käppele built in 1748-1750. 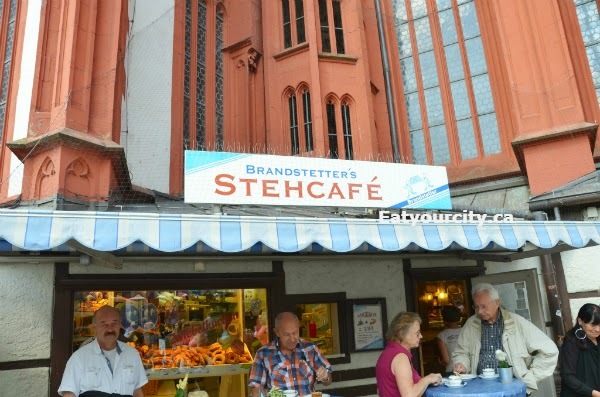 We stopped off at a cafe/beirgarten in the Festung Marienberg that had great views of the city, and noshed on some ice cream and currywurst - think tomatoy sauce with a hit of curry powder and a hotdog... and washed down with some local beer and black currant juice (no pic). We could have easily spent the rest of the day exploring, but we had to head to our next stop for dinner... the UNESCO World Heritage city (yup, nota building - the entire city is a UNESCO World Heritage site!)... of Bamberg!